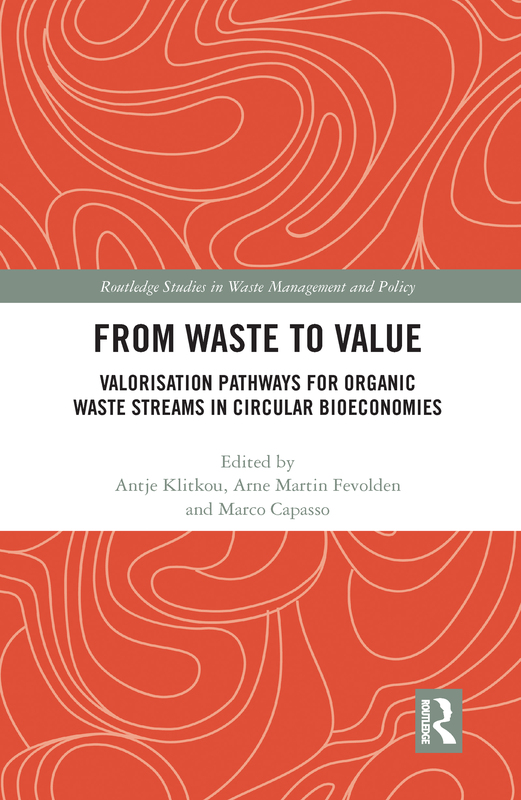 From Waste to Value investigates how streams of organic waste and residues can be transformed into valuable products, to foster a transition towards a sustainable and circular bioeconomy. The studies are carried out within a cross-disciplinary framework, drawing on a diverse set of theoretical approaches and defining different valorisation pathways. Organic waste streams from households and industry are becoming a valuable resource in today’s economies. Substances that have long represented a cost to companies and a burden for society are now becoming an asset. Waste products, such as leftover food, forest residues and animal carcasses, can be turned into valuable products such as biomaterials, biochemicals and biopharmaceuticals. Exploiting these waste resources is challenging, however. It requires that companies develop new technologies and that public authorities introduce new regulation and governance models. This book helps policy-makers govern and regulate bio-based industries, and helps industry actors to identify and exploit new opportunities in the circular bioeconomy. Moreover, it provides important insights for all students and scholars concerned with renewable energy, sustainable development and climate change. What knowledge does the bioeconomy build upon? A governance tool for transition towards a circular bioeconomy?